You are currently browsing the tag archive for the ‘Wine Club’ tag. I can finally say that I have completed my digestion of the holidays both personally and business wise. While I would have liked to hit the ground running as fast as I could on January 1st, it just didn’t happen. Chalk it up to holiday travel, my first year of holiday sales with Uncorked Ventures, and a few other things but I was down right tired as the new year kicked off. Lots of gray skies and rain didn’t motivate me much as well. But here we are finishing up the third week of January and I feel refreshed and ready to tackle what should be an interesting and good year for me, my family, and Uncorked Ventures. Having added a good number of customers in November and December, Uncorked Ventures is looking forward to more growth this year. Both Mark and I have many ideas percolating that will be put into action in the coming weeks and months. We aren’t typically short on ideas, but it does take a bit of time to bring them to action. As our operations become even smoother this year we should have more time for growing the business versus just sustaining it. As February approaches we are looking forward to heading off to wine country again. We have already locked up some additional winery partners this year and are looking for more. It will be good to get away for a few days and hang out, meet some new wineries and winemakers. I still get a buzz when I find a great wine that I know others will love. I only wish I could see first hand what some of our customers’ reactions will be when they try some of the good juice coming their way. If you have been thinking about joining a wine club, join soon so you can take advantage of what we are shipping soon. I think I should go spend sometime in the garden and enjoy this beautiful Northern California Saturday. Thanksgiving is now officially in the rear view mirror. I had an enjoyable trip down to San Diego to visit with my family and my wife’s family. Of course, I could do without the 8 hour plus drive both ways. What can you do though – and no flying wasn’t an option. The drive down was worse than the drive up as we decided to stop for dinner which added another hour and 45 minutes to the drive. The restaurant in Paso Robles we planned to eat at was closed. We turned to Yelp for help which was a mistake. Finally, we settled on place only to have it operating at what seemed like a snails pace. Next thing we know it’s 8 o’clock and we are just getting back on the road. All that being said, the drive was worth it. It was nice and sunny in San Diego even if the mornings started off quite chilly (low 30’s). Both Thanksgiving meals we participated in were wonderful. The food was great and the wine I brought down did the trick. 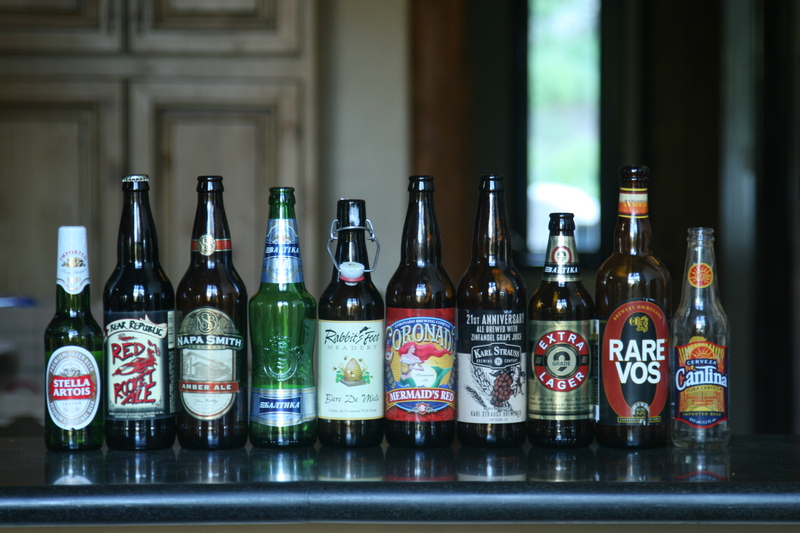 With the in-laws, I cracked open a few different bottles. The Copain Pinot Noir seemed to be a hit. Amazing how well Pinot pairs with turkey and the trimmings. After dinner we enjoyed and darker and fruitier Shiraz from Australia. At my parents house, I sampled some craft beers with my brother before the meal and opened a 2005 Copain Les Copain James Berry Vineyard. Yes, I do drink my share of Copain Wines made by the critically acclaimed winemaker Well Gunthrie. Uncorked Ventures has shipped a couple different Copain wines over the last year with lots of good feedback from our wine club members. Back to the Les Copain which is wonderful wine made from one of California’s top vineyards. In fact, this vineyard which is owned by Saxum Winery produced this year’s #1 wine according to Wine Spectator. After a few days of family and relaxation in San Diego, we headed back home to the Bay Area. Fortunately the night we arrived home our good friends and neighbors had us over for dinner. Abalone fritters and abalone steaks. Good living for sure, especially when it was paired with a Rhone-styled white from Paso Robles. Fresh abalone is a gift from nature for sure. Just glad to have a good friend who is an accomplished abalone diver. Needless to say, I slept great Saturday night having eaten well combined with the comforts of my own home. So you would think that come Sunday, I would be anything but focused on food and wine. Wrong. After getting the Christmas tree up and lights up outside I decided another good meal was necessary. Enter prime steaks, grilled asparagus, fresh baked bread, and a bottle of 2005 Saxum Heart Stone. Yes, I said Saxum. Saxum Winery has been on a tear these last few years. Wine critics have been lauding the work of Justin Smith, owner and winemaker. The mailing list had grown and now the waiting lists extends a couple miles. Hopefully the press that comes with Wine Spectator awarding one of their wines the #1 rating for 2010 doesn’t send the winery over the edge which has unfortunately happened to a few other wineries of the past. One could argue that the hype has been building for a while and that Robert Parker’s rating of 100 points (aka perfect) for the 2007 James Berry had already kicked things into high gear. Hopefully the winery will keep prices close to what they have been. Of course all of this was neither here nor there on Sunday night. Once I removed a good portion of the wax overlay, I popped the cork and prepared for something special. The wine did not disappoint. Out the gate the dark fruit flavors and aromas jumped out of the glass. At first the flavors seemed a bit jumbled up, but with a bit of air everything calmed down. A “Wow” was uttered from my wife. Yes, this wine was seriously good as the tannins were well integrated and while this wine is on the higher end of the alcohol scale – it was not hot or jammy. It was damn good. Not a bad way to cap the holiday week. Fast forward to today. Some new wine club orders had come in overnight. Always good to wake up and see those e-mail notifications. Feeling good, I decided it was finally the day to ditch the 1998 style cell and officially join 2010 by purchasing a smart phone. Enter my new best friend, the HTC 4-G My Touch. How did I have enough self regulation to let my contract expire and not jump into this earlier. All I can say is that it took some serious self control. With a couple business functions scheduled at the end of this week, its good to know that I will have the pocket office with me. Amazing how powerful these devices have become. Time will tell if it makes me more efficient. For now, I know it will make my life a bit easier. Ok – plenty more ramblings to come, but I will call it quits for now. I hope everyone had a great Thanksgiving. With the holidays upon us, I would be remiss to not suggest that you consider Uncorked Ventures for your hard to buy for relatives or friends or even yourself. We have been getting lots of praise on our shipments. Just a couple months back we shipped the #6 wine for 2010 according to Wine Spectator. The 2008 Paul Hobbs Russian River Pinot was and is delicious. Too bad we can’t get our hands on any more of that. just wait to see what we have planned for our next few shipment. It is a cold rainy day here in the San Francisco Bay Area. Snow is falling in the Sierras, puddles are forming in my backyard, and leaves cover my front yard. If I was wondering, yes, Fall has arrived and Thanksgiving is knocking on our door. Like most people, the Thanksgiving holiday helps me to reflect on how good I have it. My immediate family is healthy and for the most part in good spirits. My wife’s and my siblings and parents are all doing well. It will be great to see everyone next week as we celebrate Thanksgiving. We have now settled into a tradition where we celebrate Thanksgiving over two days. First is Thanksgiving with my in-laws on Thursday then we celebrate with my side of the family on Friday. We started this new two day tradition several years ago. It really relieves the pressure of having to jump between two houses. It also allows us to enjoy each meal as we don’t have to save room for another meal. In the coming days, I will be making my wine selection for both meals. As my in-laws tend to be more of the wine drinkers, I will likely bring home a magnum that I have been cellaring for a few years. The larger bottle seems a bit more celebratory. Beyond family and friends, I have a lot more to be thankful. Fortunately, Uncorked Ventures first year in operation has gone relatively well. Having launched the new business in January, our business has grown slowly but steadily over the last 11 months. The outpouring of support we received from family, friends and former co-workers helped to kick-start our wine club sales. Going into business with my brother-in-law Mark was not a decision I entered into lightly. Over the last 11 months, my brother-in-law has been a valuable partner, confident and friend. I clearly made a good decision and look forward to working with him in the coming years. With regards to starting Uncorked Ventures, I am also thankful to have a wife who has supported my desire to strike out as an entrepreneur. With a mortgage to pay and kids’ college funds to save for, she has let me take this risk and pursue a dream even in this shrunken economy. As we near the Thanksgiving holiday, I hope you take time to reflect on what it is you have to be thankful for. I am going back to cleaning out my closet and chest of drawers, searching for items that I am not making the most of but someone who is less fortunate will. The first few weeks of fall are always interesting. To start, you get teased by the weather, especially in Northern California. In the same week you can have rain one day and a few days later be hanging out in the backyard with shorts, t-shirt, and flip-flops on. Playoff baseball can be seen in the not so distant future while college football (GO DUCKS!) and the NFL are at the early part of their seasons. The changeover from summer to fall is like any transition for me. I am not yet ready to say goodbye, but I am looking forward to what’s ahead. I will miss the warm weather (ok, we really didn’t have much of that this year). I will miss having the kids out of school and seeing them run like a bunch of crazies in the backyard with the sprinklers on. I will miss bbq’ing on the Weber 3 times a week. Summer is great, but I am ready for fall and what it brings along with it. For Uncorked Ventures, fall is shaping up to potentially mean big things for us. A number of marketing activities are beginning to bear some fruit for us. Funny how you can toil at something for a good bit and then all of sudden things start to click. While there is no guarantee everything we are doing will produce dividends, I am confident that we have planned and are executing thoughtfully. Many thanks to my business partner who has been working the long hours and is enjoying the trails and tribulations of all of this with me. It helps that he is family and that we share similar goals and that we know we can count on each other 100 percent. Harvest in wine country has already started. In California, it looks like it will be a particularly long harvest given the mild summer we had. With patience and some good luck 2010 could produce some good and interesting wines. In the meantime, we will continue to scour for the best of what’s available from previous vintages. We have some exiting wine club shipments already planned for the fall so stay tuned. Hard to believe we are already in early August. Where did June and July go? It has been a busy summer for me. My family and I went on two separate family vacations lasting about a week each. Each trip was special as we got to hang out with our respective families and enjoy being together. The trip with my in-laws included a extended family reunion. We had the opportunity to visit and enjoy being with cousins, Aunts, and Uncles that we don’t get to see on a regular basis. Life happens so fast, so it was good to take a pause this summer and enjoy our families and moments we got to share with them. School has started in our area, at least for those on year-round schedules. I look forward to settling back into more of a routine and being able to focus more time and energy on Uncorked Ventures. The business has continued to grow through the summer which has been wonderful. Both Mark and I have a number of initiatives we will be leading in an effort to further establish and propel us in the right direction. We have appreciated the support of our early customers, but look forward to growing the base and extending our reaches further. The long hours put into SEO (search engine optimization) have paid off as we on the front page of Google for several key search terms. Looking forward to what’s next for us makes me excited about our possibilities. As this weekend approaches, I will get a chance to look back as I will be attending my 20 year high school reunion. It will be fun to catch up with a number of individuals I have not seen in sometime and hear about their lives, their families, and what it is they are up to. I have enjoyed my last 20 years of life a good bit. I have married a wonderful woman and am raising some incredible children. I feel fortunate to have transitioned from my corporate positions to owning my own business with my brother-in-law. Life is short, so it is good to be doing something I truly enjoy which gives me more flexibility and opportunity to be with the individuals who matter most in my life. I hope you are enjoying your summer as much as I am. I look forward to letting you know how my reunion goes. It’s Saturday about noon, I just got home from picking up some South African Sauvignon Blanc from an importer here in the bay area. Took the family with me on this errand and added a stop at a park in a community a little south of where we live. The park was relaxing as the kids were not fighting and really enjoyed being outside. The weather is just perfect, around 70 degrees, with a slight breeze. Even though I was raised in San Diego, I don’t have a particular fondness for it being too warm. High 60s to low 70s seems ideal to me now. I have some yard work ahead today, as the lawn needs to be mowed and some plants need to be trimmed. I never thought of myself as much of gardener, but the front and back yards are quite respectable even with the dandelions. Spending a couple to a few hours in the yard every other week (or weekly during late spring and summer) has turned out to be good therapy. Back when I was working my corporate job, gardening provided a nice release. It provided real time satisfaction. You mow the lawn or trim a tree or even weed a little and you can take a few steps back and see the fruit of your labor. Much different than projects at work that can last months and seemingly have little impact. Beyond a bit of gardening today, I will turn my attention to tonight’s meal. I was originally planning on making calzones, but with the weather being so perfect I won’t be able to resist firing up the weber grill. I just love this time of year as you can spend so much time in the back yard just hanging out. I will typically bbq once if not twice a week during the late spring and summer months. As bbq seasons ramps up, so does my focus on finding wines that go well with the spicy and smoky fair that finds it way on to our plates. 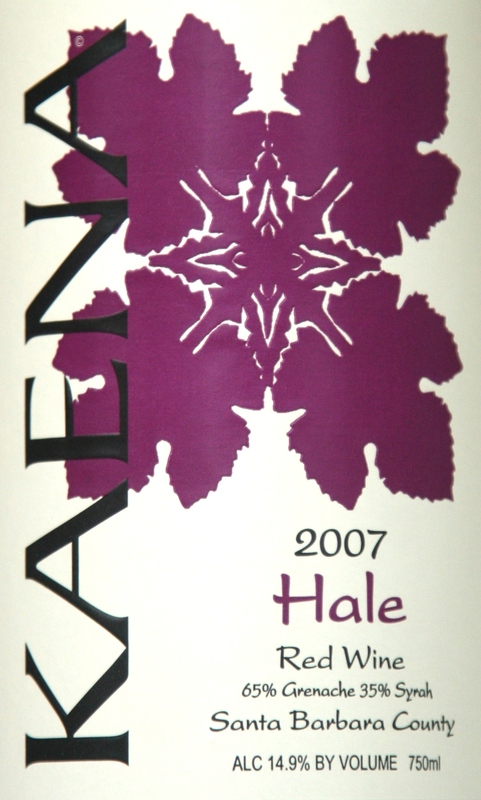 Right now, I am in love with the 2007 Kaena Hale. This a wine that has been shipped to a number our wine club members already. Kaena wines are crafted by Mikael Sigouin, who is the winemaker at Beckmen Vineyards in Los Olivos – Santa Barbara County. 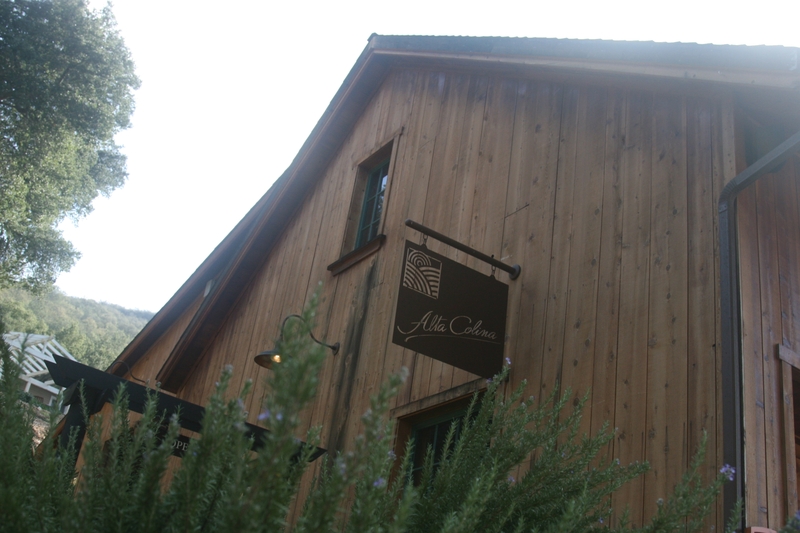 The 2007 Hale is 65% Grenache and 35% Syrah. Very approachable, delicious, and food friendly. At $18 this is a great house wine for the summer and will complement most anything coming off the grill. With only 300 cases produced, this wine will be gone before summer is over. While I love the Hale, I am still on hunt for some other great bbq wines. Stay tuned to see what I track down next. Well, I should get to lunch and the garden. I hope everyone is enjoying their long weekend. Uncorked Ventures would like to give a nod to our fallen soldiers and their families. We appreciate the sacrifice you have made on our behalf. So much seems to be going on with Uncorked Ventures right now. That being said, I wanted to take a minute to stop and smell the roses or should I say the Pinot Noir. Last year, when Uncorked Ventures was a thought, not a fully formed concept, there were a few wineries I absolutely wanted to partner with. One such winery was ROAR Wines. As of this week, I am happy and proud to be offering one of ROAR’s pinots in our on-line store. For those of you unfamiliar with ROAR Wines, I highly encourage you to give them a try. ROAR is run by the husband and wife team, Gary and Rosella Franscioni. Gary’s family has been farming in California’s heartland for more than 100 years. Having a good farming sense, the Franscioni’s have developed two of the more well-known vineyards in the Santa Lucia Highlands. The Rosella and Garys’ vineyards are planted on the southeast portion of the mountain range overlooking the Salinas River Valley. In addition to their fantastic pinots, ROAR Wines also crafts some incredible syrahs and starting last year a chardonnay. So why am I so excited to be partnering with ROAR Wines? It is pretty simple, I think their wine is just fantastic and while not cheap it isn’t crazy expensive. In fact, their 2008 Santa Lucia Highland Pinot at $38 – $40 seems like a real value once you have had the opportunity to try it. Given that there are less than 1100 cases produced, I am pleased Gary has given our little upstart wine company an opportunity to offer it to our customers. Beyond the quality level of the wine, Gary also seems to be a genuinely good guy. 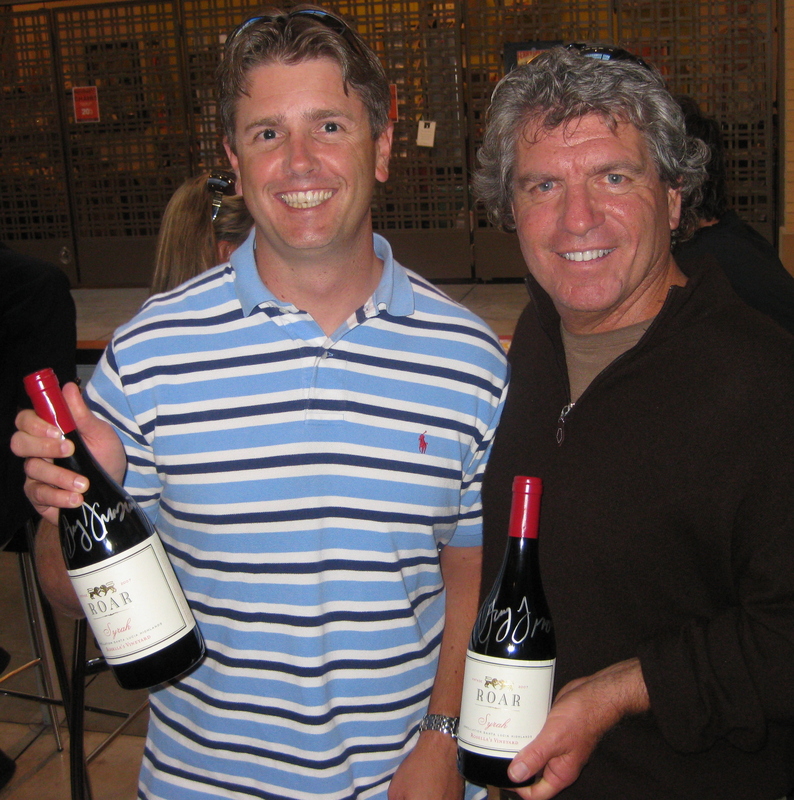 Those of you who have been reading this blog a while, may remember that I had the opportunity to meet Gary Franscioni and Gary Pisoni at a tasting in San Francisco last summer. Well as it turns out, Gary F. also remembered our encounter and was happy to grant me access to his limited production wines. So on Friday, I trotted up to San Francisco to pick up my Pinot allocation for Uncorked Ventures. Yes, I said San Francisco. ROAR Wines is one of five or six bonded wineries in the city limits of San Francisco. 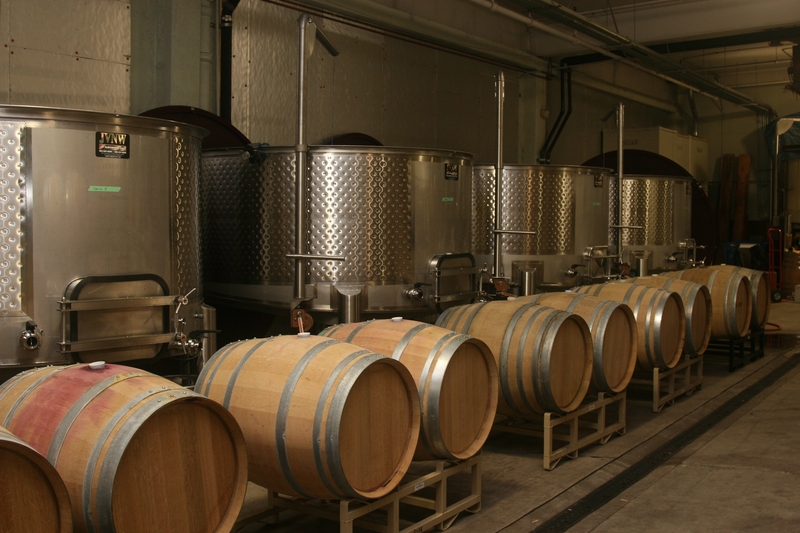 It turns out that by locating the winery in San Francisco they are able to take advantage of the cooler climate, thus reducing their air conditioning costs substantially. The winery is nothing fancy to look at from the outside nor the inside. While some of you who may be familiar with ROAR might have expected them to have a more temple like winery and tasting room given the success of their wine, I myself somewhat enjoyed the practicality of it all. I also like the thought that their continued investments in the vineyard will yield more benefits for their enthusiasts versus building the next behemoth winery. That being said, if they build that gorgeous winery … I will come. Finally, I want to also acknowledge Ed Kurtzmanm, ROAR’s winemaker, who set aside a bit of his Friday to talk to me a bit more about ROAR and also walk me around the winery. I look forward to trying a bottle of Ed’s 2008 Buckhill Vineyard Zinfandel – Sandler Wine Co. I hope everyone is enjoying their weekend. I look forward to cracking open a bottle of ROAR Wines very soon and encourage you to do the same. It has been a while since my last blog. A lot has been going on with Mark and I as we count down the days until we are “fully live”. Fully live meaning that Uncorked Ventures is finally signing up members for our three wine clubs and beginning shipments. We have had our website up for approximately three months and are happy with the traffic it has been receiving. Our interest list has been steadily growing over the last few months, but we are eager to move from an interest list to actually paying wine club members. Paying customers are not just exciting because of the revenue aspect, albeit that is a good thing, but because we finally get a chance to showcase a number of the wines and wineries we have identified. Over the last several months we have taken trips to Napa, Sonoma, and Paso Robles and have met a lot of good people and have found some special wines. A lot of my friends and family members have been treated to some of our initial purchases, but I want to get these wines into more hands and here what others think about them. These next few weeks will be especially busy as we tie up some loose ends and prepare for our initial shipments. While it may have taken us a bit longer to get to this point, I am happy with where we are and what we have to offer to our customers.